A statewide teacher shortage has reached an alarming level as school districts struggle to find certified teachers and support personnel to fill vacant positions. Winnebago County is no exception. According to a recent Illinois State Board of Education report, the lack of certified teachers has also been a long standing issue. In Winnebago County, there were 92 unfilled public school positions (teaching, administrative, support staff and other certified personnel) in 2016 and 172 unfilled public school positions in 2018. This data indicates an 87% increase in the number of unfilled education jobs county-wide. Remarkably, 65 of the 92 unfilled jobs in 2016 were classroom teaching positions; whereas, 97 of the 172 unfilled jobs in 2018 were for support personnel positions. 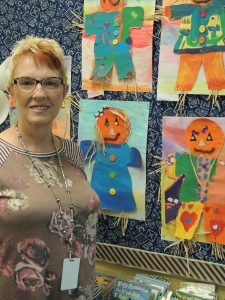 Becky Lindvall, currently a second grade at teacher at Rockford’s Brookview Elementary School, has taught most grades from pre-school through eighth grade during her 39 years in education. She’s received both a Golden Apple Award for Excellence in Teaching and Leadership and a Those Who Excel Award from the Rockford Public School District (RPS) 205. Based on her experience, Lindvall provides a close-up view of the teacher shortage issue. Lindvall said that there are initiatives in place within the Rockford Education Association (REA), the teachers’ union, to entice new educators to the area and to retain current teachers. “One incentive we have is that the children of teachers can attend the school where their parent(s) teach despite living outside of that school’s boundaries,” she said. “Another perk for REA members is help in securing home loans. This is for teachers who want to live in Rockford and teach in Rockford. “Additionally, there are cohorts of teachers going through Master’s Degree programs in Rockford. Once a teacher decides on a specialty for his or her advanced degree, RPS District 205 will pay their tuition in exchange for working in that specialty within the District,” Lindvall said. But one RPS measure to ensure an adequate number of substitute teachers in the district bothers Lindvall. The IBSE report notes that number of college students pursuing a career in the teaching profession has decreased. “A report released in early August 2018 by the American Association of Colleges for Teacher Education found that between 2008 and 2016, there was a 23 percent decline in the number of people completing teacher preparation programs nationwide,” the IBSE report stated. The IBSE website (www.ibse.net) also includes an interactive chart on the Educator Supply and Demand page, which lists unfilled teaching, administrative, support personnel and other certified positions statewide. According to the “Unfilled Positions Tab”, there were 1,780 unfilled public school positions in 2016 and 2,894 unfilled public school positions in 2018. This data indicates a 63% increase in the number of unfilled education jobs. The report also shows a most urgent need for special education, bilingual and English as a Second Language (ESL) teachers, for teachers in the Chicago School District and for teachers in rural areas of the state. For Lindvall, teaching in 2018 is certainly different from teaching in the mid-1970s, the start of her career. Lindvall said being a new teacher or present-day classroom teacher takes commitment and perseverance. Teachers need academic ‘hard skills’ as much as they need the ‘soft skills’ of knowing how to interact with people.